I really like your flip flop card. It's so colorful and fun. Your cards are really good. Doodles look so perfect . This is a really fun release, I love it all. love your colorful flip flops on kraft paper! Awww!!! 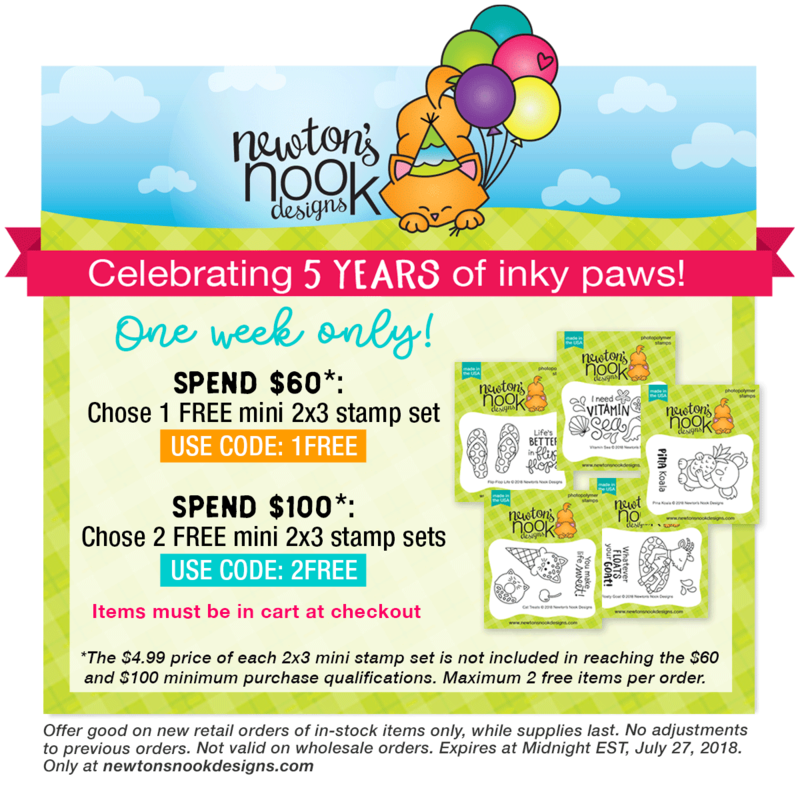 Adorable and super cute cards!!! Both cards are absolutely adorable and sweet! 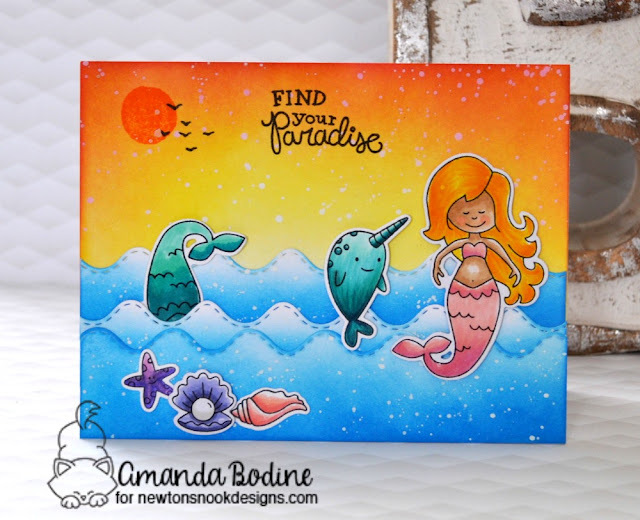 Love how you've created a mermaid scene and rainbow flip-flops are just fantastic!!! I love your flip flop card and anything mermaid! So cute Amanda! Adorable flip flops and mermaid cards! They look so fun to color! Fantastic cards! 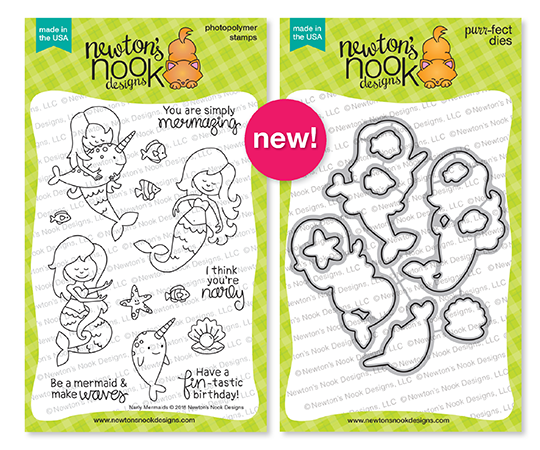 The mermaid scene is delightful and your coloring looks wonderful. 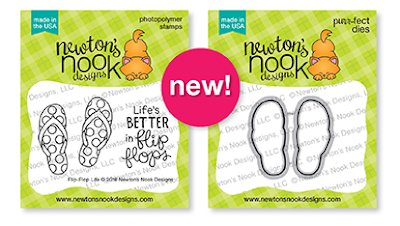 I love the flip flop card! It has such a fun beachy feeling and the doodling is super cute! Your memaid card is adorable! I love the tail sticking out of the water! Fabulous! Thanks for helping us celebrate 5 years today! oh those cards are super adorarble! Your flip-flops are so colorful and ready for a fun day at the beach!!! :) Great design! Love the bright colors on your cards especially the different color flip flops! Being a Florida girl, I love my flip flops! These cards are so beautiful! gorgeous background on the mermaid card and love the rainbow flipflops! 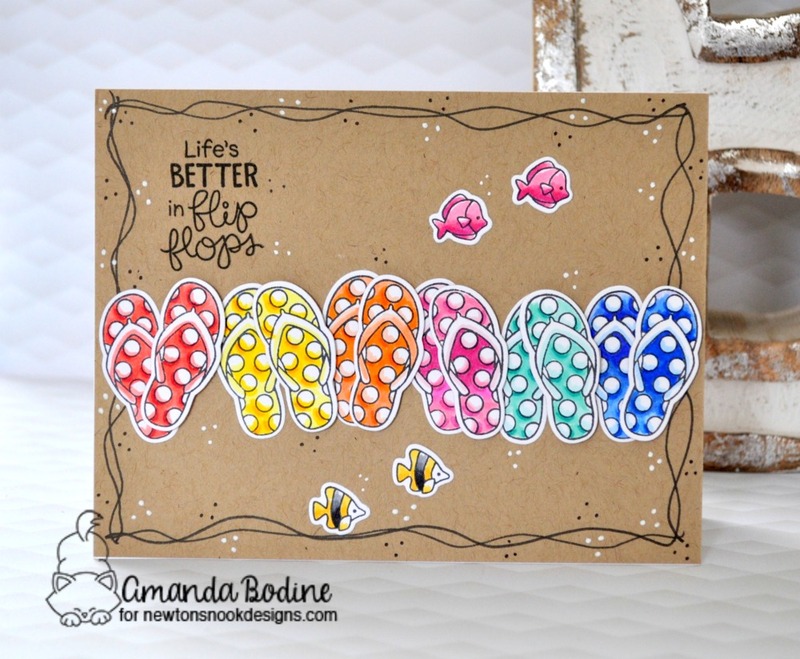 Beautiful, fun and vibrant cards! Flip flops just make me happy. Fantastic! EEEEEK! Both of your cards are absolutely amazing, Amanda! I can't really swim but I'd totally jump in the sea with those cuties on your first card! And all those pairs of flip-flops...so cute! fantastic cards! such a pop of color on the kraft card! Super cute cards! Love the pretty mermaid and the flip flops! Your lines and dots are very cool, I love them! I'm glad your husband said you should share this card because I want to make one just like it LOL. Thanks for the inspiration! Your cards are gorgeous, love your colouring and inky background on the first card! Love the colourful flip flops on the second one! Your two cards are beautiful l I really love your idea of the paradise sentiment for your friend. I'm sure he will find your card very encouraging ! What great cards...love the mermaids swimming and the fun flip flops in the sand. Such fun cards! Love the flip flops! Oh my !! Both of your cards are great ! I love the Flipflop one so much ! It’s such fun ! But the colors on the first one are simply stunning !! You did an awesome job ! !